Following a 20 year career at Experian plc, Tony worked for Corelogic Teletrack UK as a consultant, recruiting new clients, developing products and services, liaising with industry trade associations and maintaining regular contact with government bodies and regulators. During this time he has worked closely with the consumer credit marketplace, most recently to establish Corelogic Teletrack UK as the preferred credit reference agency for non-traditional lending during its operation from 2006 to 2015. 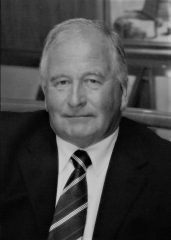 He began his 35 year financial services career with NCR, where he helped develop the ATM network for major banks and building societies, with emphasis on the implementation of anti-fraud measures, critical to the roll-out of the network. Tony then moved to Experian and held a number of leadership positions including sales director, managing director of the business information division, managing director of the consumer services division and international strategic sales director. He represented Experian on various industry bodies including the FLA, CCTA, SCOR and CIFAS. In 2015 he co-founded consumer credit consultancy CreditStrategies (www.creditstrategies.uk.com).